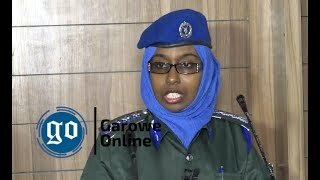 GAROWE, Somalia Oct 7,2014 (Garowe Online)-Fishermen in Gara'ad coastal town of northeastern Somalia are complaining about illegal fishing vessels as the country continues to witness upsurge in marine resources depletion according to official, Garowe Online reports. 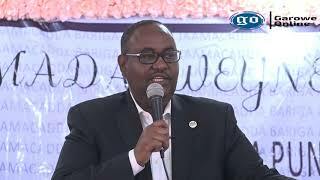 Speaking on Puntland-based independent station, Radio Garowe on Tuesday the mayor of nearby Jiriban Abdulahi Ali Yusuf said at least 40 illegal trawlers were sighted in the Exclusive Economic zone (EEC) and in the territorial waters-a few nautical miles-off Gara'ad coast. "Local fishermen who rely on fishing activities for their livelihoods face constant intimidation from unlicensed fishing vessels," said Yusuf, stating that the trawlers more recently cracked their whips. 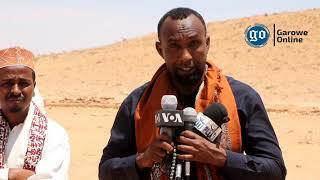 He added, they lodged complaints to the ministries charged with the interminable matter and Mudug region officials. 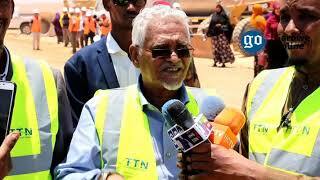 Puntland Government previously clinched agreement with four South Korean vessels with 200 tons cold storage capacity. 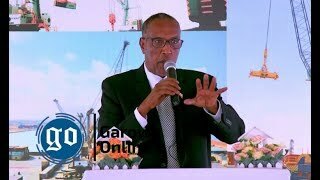 War-torn Somalia has been experiencing illegal fishing practices since 1991 when armed opposition groups toppled country's long standing dictatorial regime.